Welcome to Trafalgar’s weekly page. This we have worked hard on presenting well-organised work and below you’ll want to see them, so please go ahead and enjoy reading our work! This week we have discovered many ways of using fractions for example, we have learnt how to add, subtract and multiply fraction with whole numbers and without. We have learnt how to add with different denominators and with a mix of improper fractions as well as mixed numbers. Following on from our achievements in maths, we have also started reading some Greek myths and with the inspiration of them, we wrote our own myths. We have used many techniques to really make it sound real and we would love for anyone to come and read them; you are more than welcome to come. As well as bringing our imaginations to live in our writing, we have also discovered many historical backgrounds about the Trojan war. The Trojan war occurred in ancient Greece in the city of troy. There was a young prince named Paris and he was told to choose between 3 goddesses. He chose one who gifted him the most beautiful woman in the world ( helen). But, unfortunately, she was already married to someone else. So, when they fell in love with each other, they both ran away back to troy. But, it didn’t end there, king Melenaus ( helen’s husband) was furious and decided to come back for her. Eventually, there was an enormous battle against the two cities for 10 years . at the end, king melenaus won and everyone in the city of troy died, including prince Paris. 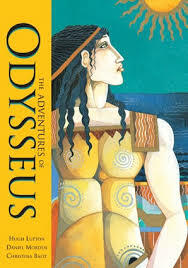 We have discovered and explored many greek myths and enjoyed listening to them. This is all the work and effort of all students and teachers to make Trafalgar class a better place. In maths,Trafalgar class has been learning about fractions. Before we all started fraction, we all did a test about fractions that we did last year. Did you know that 1 half as a decimal is 0.5 ? We now know that we can simplify fractions eg . 24/36 is 2/3 of a fraction. We even made our own mixed numbers and coloured them up. Zeus was the king of all gods. Hera was the queen of the gods and the protector of woman. Poseidon had a beard and long blue hair. Athena was tall, strong, graceful, grey-eyed and liked owls. Ares was the gods of war. Apollo was the twin brother of Artemis. Hermes was the messenger god. Aphrodite had an unusual birth. The story carried on and we even wrote our own version of this myth in our books. 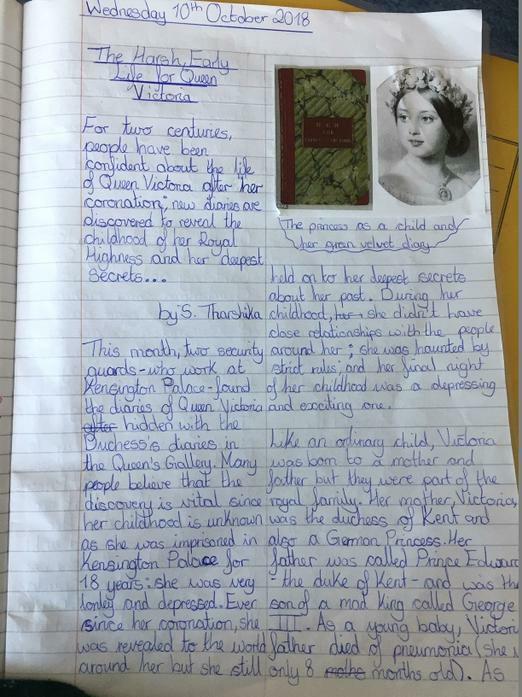 The children in year 6 were set a task of completing a question sheet about Queen Victoria at Kensington Palace –that will be useful later in their massively interesting history lessons. The reason that year 6 went to this majestic palace was so that their literacy work could continue as they are reading a book about young Victoria’s sad but very true life. We believe that the hard working pupils really enjoyed this historical adventure and can’t wait to go on their next one. Finally, they love art in Trafalgar class. They have been drawing some one-point perspective drawings; please visit our amazing work page to see some fantastic efforts.